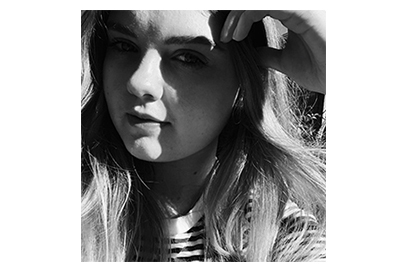 Clothing Haul | ASOS & Once It | emma etc. 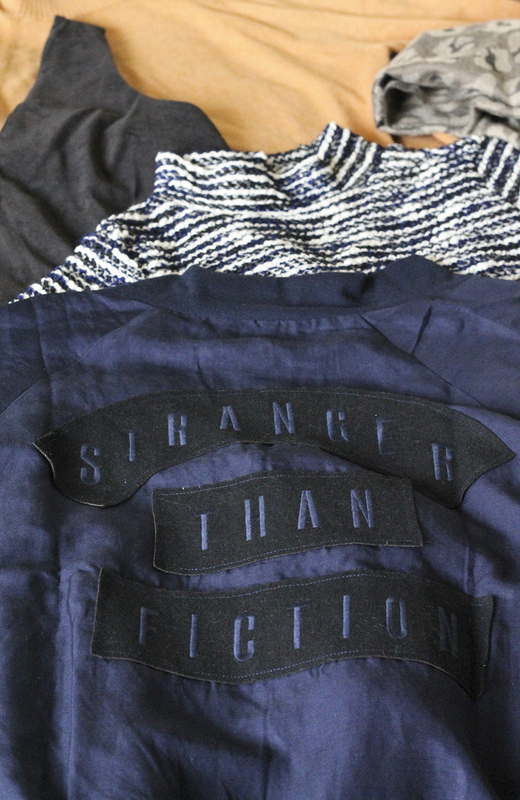 Anyway, the first item I will talk about is the Salasai Navy STF Bomber Jacket I got from Once It, a.k.a my one true love. My life is complete. My friend actually owns this, but when I looked on the website to look into buying it, it was literally almost $400. No thanks! But it went on sale and was SO SO much cheaper, so I decided to go for it and I'm so glad. It's sold out now too. 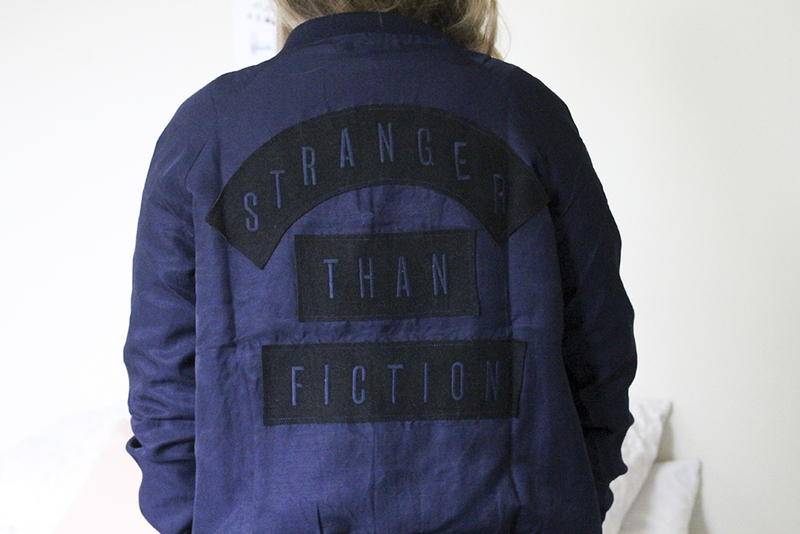 I've wanted to buy a bomber for a while, and I just love the back of it and the slogan so much. 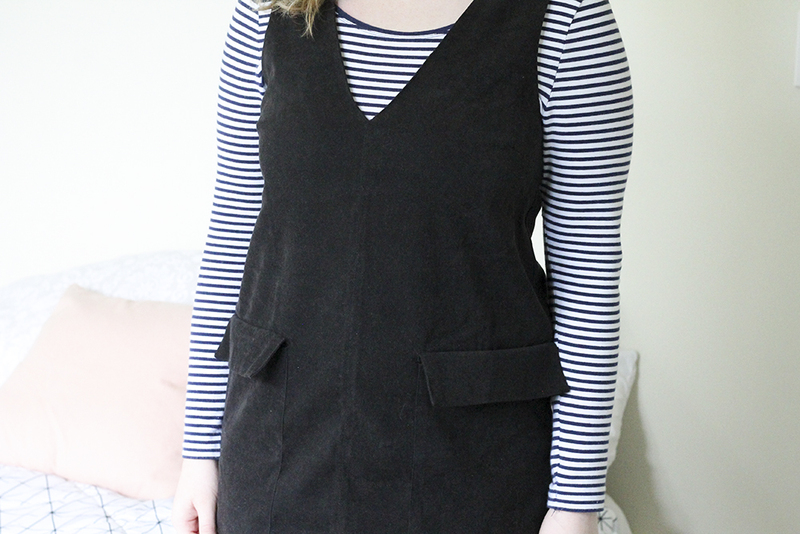 First from ASOS I bought the Thick Strap Deep V Pocket Detail Faux Suede Top. These are real pockets, guys. Good to know, eh? 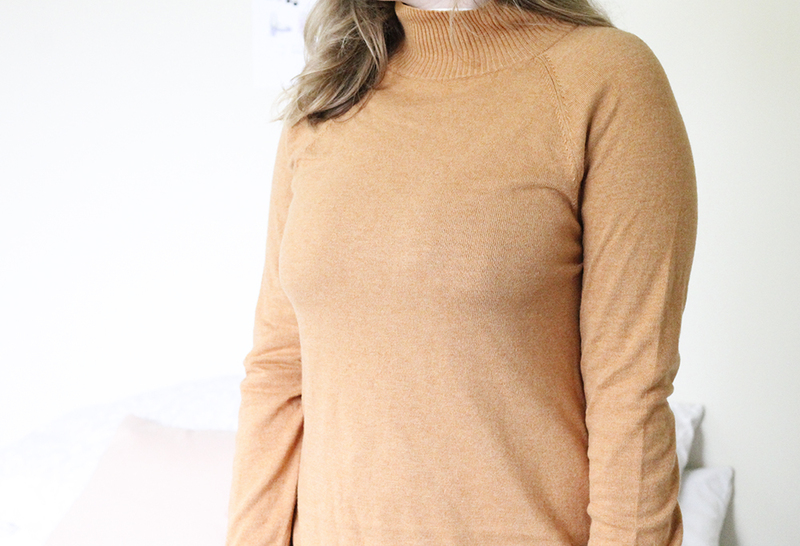 The model was wearing it with nothing underneath, but I intend this to be a bit of layering piece because I think it looks nice with long sleeve tops or thin jumpers. This would look nice as a dress, but it's too short, so I think plain bottoms is best. I also got the Funnel Neck Jumper With Tipping. It is a camel/mustardy colour and it's really soft. It has white tipping by the neck and sleeves which is a little different. 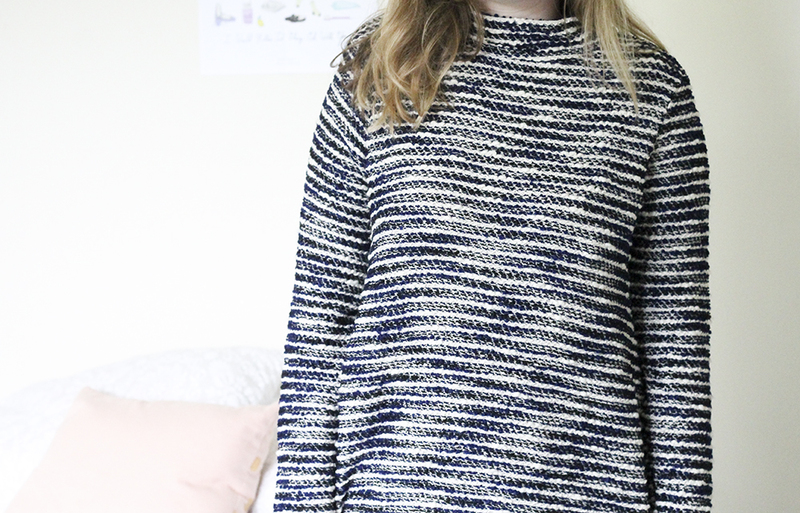 I'm really glad I bought this because it will definitely be my go-to jumper in winter. 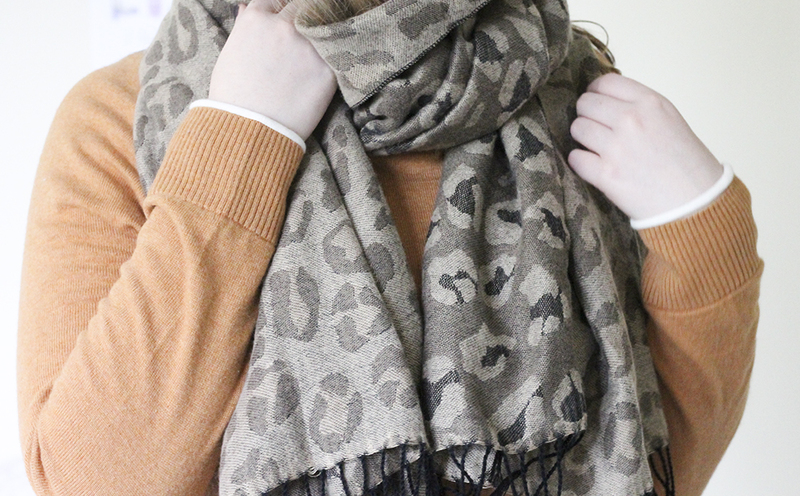 I bought a scarf which is lighter/smaller than one I already have - the Yumi Wrap Oversized Scarf In Leopard. For some reason this reminded me of ViviannaDoesMakeup so that's probably half the reason I bought it. It was really cheap as well - it's surprisingly soft and cosy. I wouldn't wear this with the jumper, probably a plain black outfit. I bought this Polo Neck Swing Dress in Textured Boucle, which basically feels like wearing a potato sack - #winning. It is quite oversized, so if you were to buy this I would say size down. This isn't a particularly short dress either - you can't see in the photo but it's quite flowy (being a swing dress) and falls close to the knee. 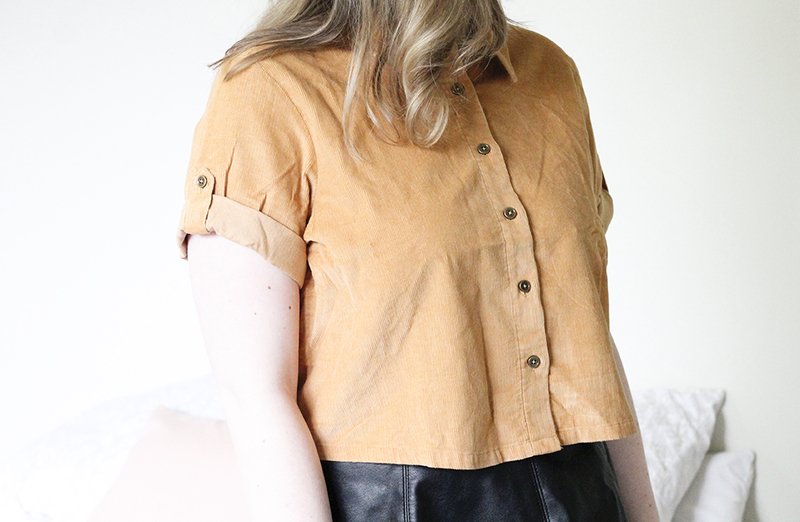 Another camel/mustard coloured purchase! 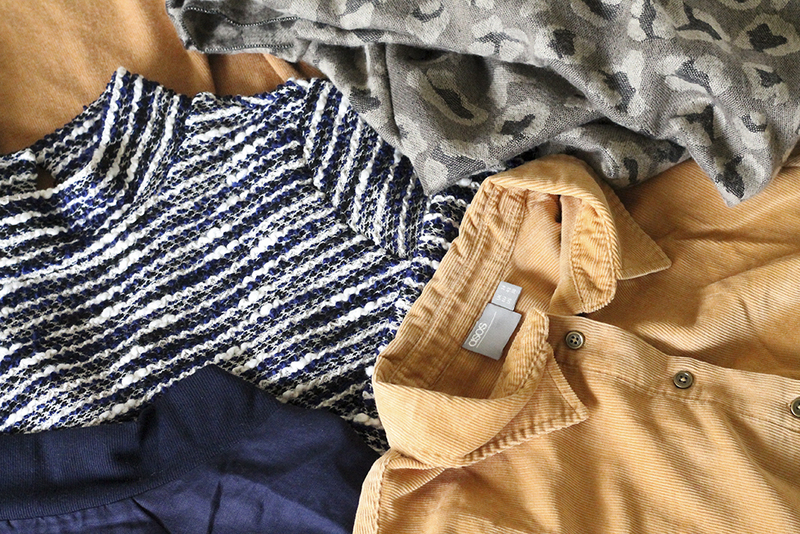 This time it's in the form of a shirt, the Cropped Cord Shirt, which is gorgeous. It's a soft material with a corduroy look. I'm experimenting more with button up shirts at the moment, so this will be a nice addition to my wardrobe; I just have to figure out what to pair it with. Hope you liked seeing what I bought! Do you like anything?